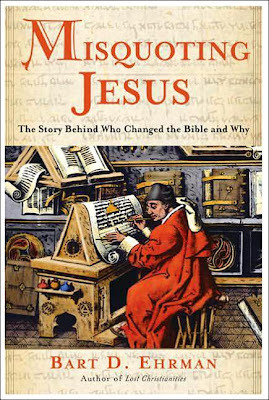 I read Bart D. Ehrman's book "Misquoting Jesus" a few months ago and have been processing the information he presents in that book for a while. What is most interesting to me is his reasons for becoming a Biblical scholar in the first place. In the introduction he tells the story of becoming a "born again" Christian his sophomore year in high school. He states, "There was a kind of loneliness associated with being a young teenager; but, of course, I didn't realize that it was part of being a teenager--I thought there must be something missing." He then began to attend Campus Life Youth for Christ club which met at member's houses. "The leader of the group was a twenty-something-year-old named Bruce who did this sort of thing for a living--organized Youth for Christ clubs locally, tried to convert high school kids to be 'born again' and then get them involved in serious Bible studies, prayer meetings, and the like. Bruce was a completely winsome personality--younger than our parents but older and more experienced than we--with a powerful message, that the void we felt inside (We were TEENAGERS! All of us felt a void!) was from not having Christ in our hearts. If we would only ask Christ in, he would enter and fill us with the joy and happiness that only the 'saved' could know." He tells of how he admired Bruce, who could quote the Bible and answer all kinds of questions. He became friends with Bruce and eventually was convinced that he should become a "serious" Christian and attend Moody Bible Institute. He refers to Moody Bible Institute as a "Christian Boot Camp...where Bible is our middle name." Each student and teacher had to sign an agreement to the effect that the Bible was the inerrant world of God and contains no mistakes. While at the Moody Bible institute he committed to a life path of learning all he could about how the Bible was put together. 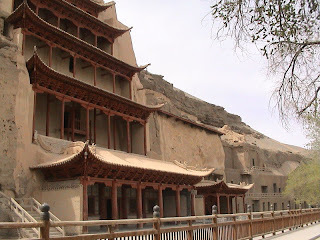 He eventually learned how to read the ancient Greek and Hebrew languages as well as a number of modern languages to be able to read what other scholars had to say about how the Bible, particularly the New Testament, was put together. While at Princeton he came to a realization that it was simply too difficult to maintain an inerrant view of the Bible in light of all the evidence he was confronted with. He states, "The Bible began to appear to me as a very human book. Just as human scribes had copied and changed, the texts of scripture, so too had human authors originally written the texts of scripture. Many of these authors no doubt felt they were inspired by God to say what they did, but they had their own perspectives, their own beliefs, their own views, their own needs, their own desires, their own understandings, their own theologies; and these perspectives, beliefs ,views, needs, desires, understandings, and theologies informed everything they said." What does this all have to do with the title of this blog? The familiar saying, "Truth, Justice, and the American Way" plays out in many ways in our culture. What if it were "Truth, Grace, and the American Way?" The contrast of Grace and Justice have come to mean a different way of seeing the world to me. In a world view that sees the Bible as inerrant works in a certain way and can be difficult to maintain when confronted with the complexity of the world. It requires what I would call a "Justice" mind set. 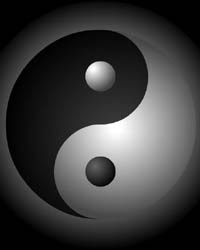 In this world view things are ultimately true or untrue. And when things become too complex for us to understand then we need to have faith in God and his word to sort things out. So when we read in the Bible that God orders the Israelites to kill every man, woman, child, and animal of their enemies we must assume that God had a just reason for doing so. And that He also had a just reason for asking the Israelites to carry it out rather than killing them Himself. One of the definitions of Grace that has caught my attention is that Grace is giving up the need to punish. Or that Grace gives up the need for justice. One saying that illustrates this contrast with Grace and Justice in a more pragmatic way is, "If we hold fast to the justice of an eye for an eye and a tooth for tooth, then the whole world will eventually be blind and toothless." This would extend Grace to others as a means to preserve the benefits of seeing and eating. Imagine the threat to our survival and well being this justice system would create if executed without exception. 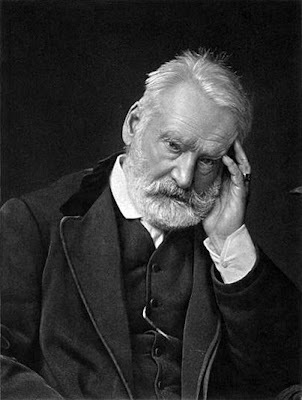 "Le Miserable" is one such brilliant exploration of this world view by Victor Hugo. In my exploration of the idea of Grace, I have found that it is very difficult for many people to extend Grace to themselves. 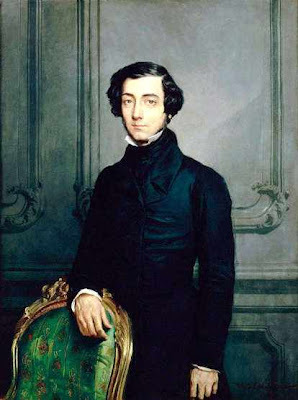 Enlightened self-interest was a concept that Alexis de Tocqueville discussed in his work "Democracy in America." The idea was that self interest rightly understood would result in ethical behavior in a group setting. I think the same thing could be true on a personal level. For example if Justice is my primary mode of motivation for being a "good" person then I may apply justice to my every act and motivation. If these are not in line with my ethical expectations then I "punish" myself. Jesus may have been referring to this when he stated that when one judges others they judge themselves. If Justice is my ethical standard for others then it becomes my own ethical mode whether I carry out the "punishment" on a literal basis or not. The other dangers of a Justice model is that I can be resentful when Justice is not done fairly to others and they "get away" with things that I perceive bring harm to me. Or I can be in fear that punishment is always waiting to come down on me as soon as I do something wrong. In this description Grace could be seen as something I could apply as self interest rightly understood. It would not be so I could "get away" with something, but a completely different world view. It is interesting that Jesus referred to self interest in his statement that we should love our neighbor as ourselves. It appears that the assumption is that we love ourselves or we should love ourselves. If I were to apply this in a literal sense then if I hated myself, then I should hate others. Another model of Grace versus Justice that I have explored is with idea of sailing. Lets say I had the 10 commandments of sailing and I was told that as long as I followed these 10 commandments I would never get into trouble and I would have a wonderful sailing experience. Sailing is a fairly complex skill and while most of the time its pretty relaxing, when you do get into trouble it can happen rather quickly and one has to make choices pretty quickly or you will end up on the rocks. There's not a lot of time to be looking things up in the book. 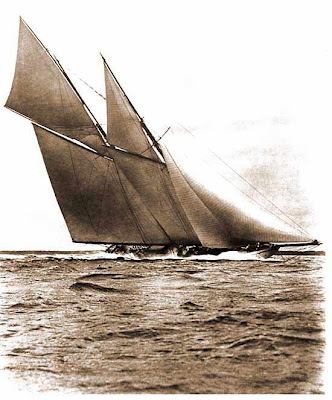 And the book can't really give you the experience of sailing and how the timing works and how it feels. Lets say one of the commandments is, "If you push the tiller to the right the boat will go left." This works most of the time, except when the current is going the other direction and you don't have any wind. The boat will point left, but the current is still going to put you into the rocks. Its generally a good time to start the engine. But if my sailing denomination is purist, then if I started the engine I would be demonstrating that I didn't have enough faith. Or if I do end up going into the rocks then I am at fault for being tempted to sail too close to the shore. A Grace model still has the object of not going into the rocks, but doesn't waste energy on blame. If I go into the rocks even though I start the engine and do everything in my power and understanding, then punishing myself makes no sense. The rocks and the loss of my boat pretty much cover the lesson. I would rather put the energy into making sure it doesn't happen again. Beating myself up and telling myself that I am a lousy sailor only serve to lessen my ability to make a decision and takes away energy and time from learning how to sail more skillfully. The other thing that I have noticed is that I can feel almost any emotion, even sadness, and not feel pain as long as shame is not mixed in. If I feel sad and judge that I shouldn't be feeling sad because that means that I am being weak, then sadness becomes painful for me. If I am angry and judge myself that I shouldn't be angry then anger becomes painful. But if I take a Grace approach and simply let myself feel the emotion and see what it has to tell me then most often the emotion goes through its cycle and shifts. Sadness can become a means to connect with others and anger can become a force for positive change and setting healthy boundaries. Justice and Grace each have a different "story." Each creates different expectations and perceptions. In an article titled "How Scholarship Affects Scholars Losing Faith 2 Who Did and 2 Who Didn't" in Biblical Archaeological Review there was a transcription of a discussion moderated by editor Hershel Shanks. 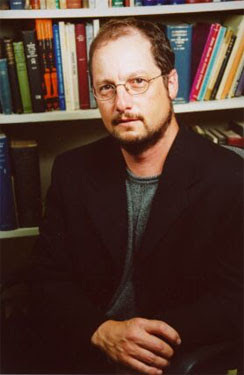 In this discussion Bart Ehrman says this about his faith in Christianity. "Faith in the Judeo-Christian tradition has a God who intervenes. That's what the Exodus event is, that's what the crucifixion is: it's a God who intervenes, and when I look around this world, I don't see a God who intervenes." This article is talking about Scholarship and yet the statement that Bart Ehrman makes is a very emotional one. There could be an element of disappointment or of relief and freedom in it, depending on how you feel about a God who intervenes. I would imagine that at some point Bart Ehraman was disappionted, based on what he was taught to believe. I can't determine how he feels now, but I can resonate with both disappointment and relief. I can say at this point the pursuit of Grace has brought me farther than the pursuit of Justice. I have come to believe that Justice tries to bring a sense of balance, but I often think that equal punishment only differs in the order the pain is inflicted. If we really are all one, then Grace extended to others is really Grace extended to myself and punishment extended to others is punishment extended to myself.